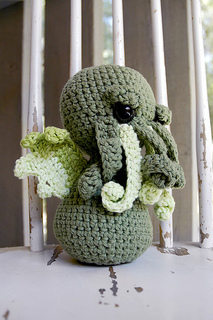 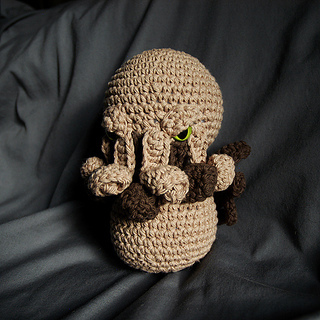 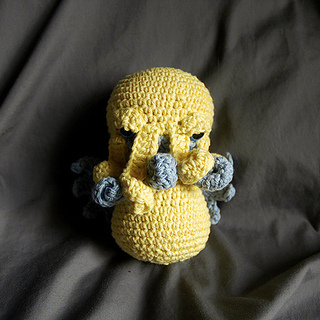 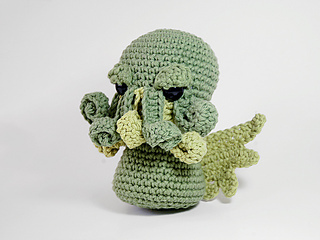 This pattern features a squishable angry Cthulhu! 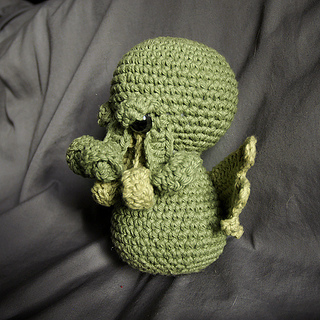 He works up in about 2 or 3 hours and stands about 7 inches tall. 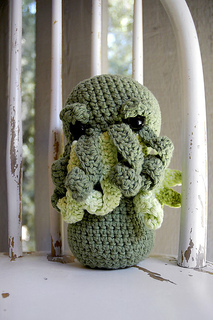 He only uses two balls of Lily Sugar ‘n Cream cotton yarn and a G hook. 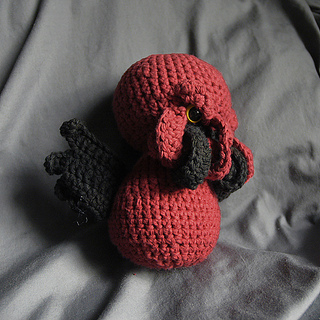 I use 15mm safety eyes, but smaller, bigger, or even felted eyes would look cute too!